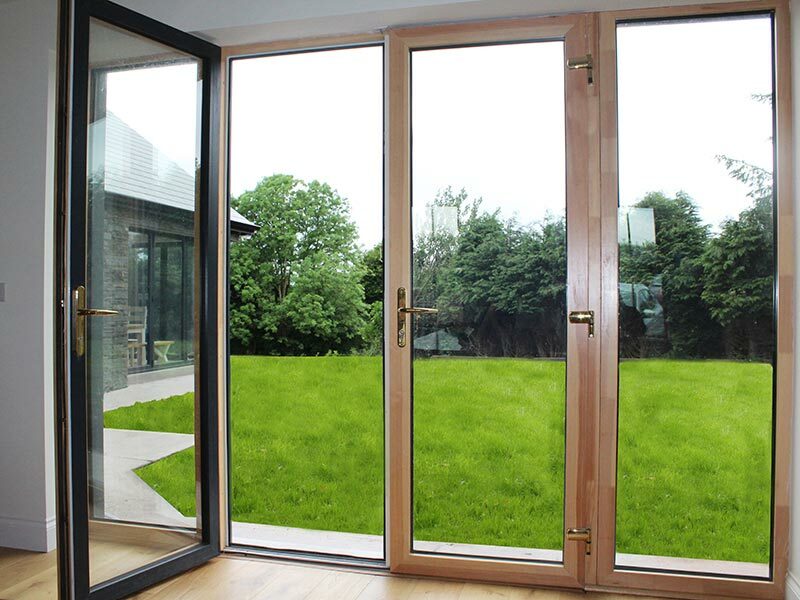 Aluminium clad timber doors are timber doors that are externally clad with aluminium. They are now becoming very popular because they offer the best of two materials. Available in many types including Sliding Patio and Bi-Fold. Wonderful warm texture and atmosphere of timber on inside. Aluminium is durable and low maintenance. Low E glass, Double or triple glazed. Warm edged spacer bars to prevent heat/cold transmission. Multipoint locking system as standard. Low maintenance, easy clean material. On the inside you get the wonderful warm texture and atmosphere of timber, while on the outside the low maintenance protective features and longevity of aluminium. The outside aluminium finish offers a high weather resistant factor. 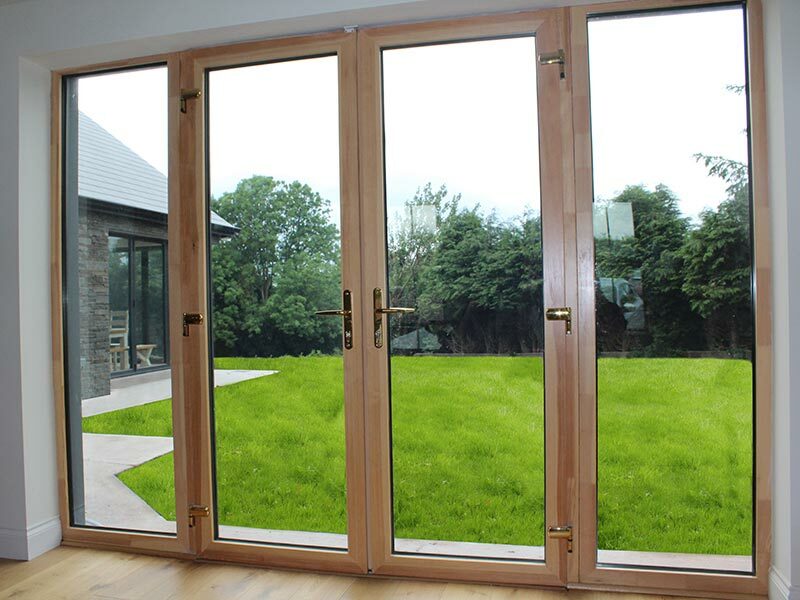 Costello Windows aluminium clad timber doors can be manufactured in a range of styles like bi-fold, and sliding patio. Colours too are limitless. The timber on the inside of the frame offers a natural thermal break resulting in outstanding heat loss resistance and energy efficiency. A multitude of security features make our products rock solid. If you like what you see please give us a call, our sales team are friendly and waiting for your call. 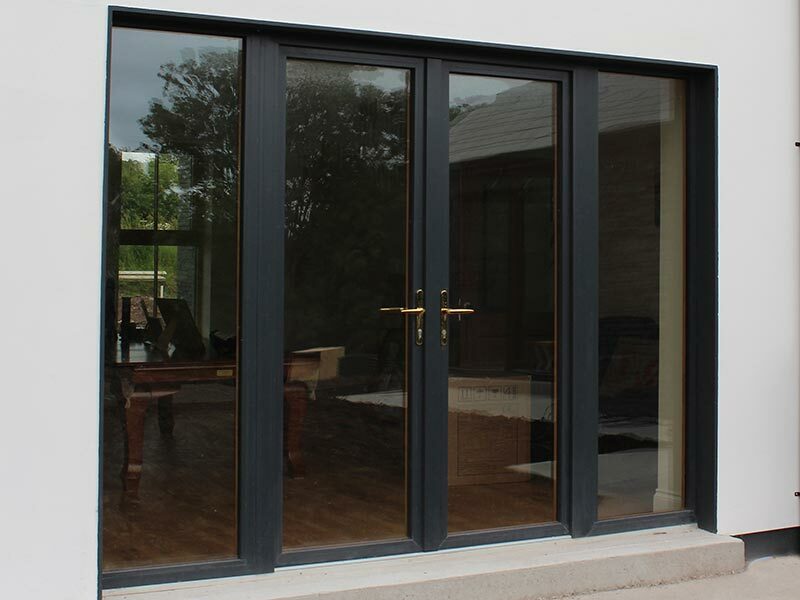 We are one of Munster’s and Ireland’s largest window and door companies.